Feb 26, 2017: (US) ($800ish) About to buy the parts for my new gaming PC. Was hoping you guys could look at it and see if anything needs changing? Any feedback is appreciated! Mar 02, 2017: Gaming PC on a budget! Apr 06, 2017: My computer has been really loud lately. It turns out to be the PSU. What can I do? Apr 20, 2017: Is a Seasonic M12II 620W 80Plus BRONZE sufficient to power GTX 1070 8 GB? Apr 23, 2017: 1st build ever - not POSTING when I turn it on. Oct 30, 2018: Will this be fine? 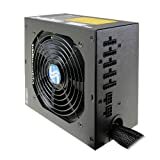 Nov 08, 2018: Need new PSU?